Jamie How became the first New Zealand batsman to score a double-century in List A matches as Central Districts completed a 19-run win over Northern Districts. Here are the numbers from a high-scoring game in Hamilton. How's 222 is the joint second-highest score in List A matches (domestic one-day matches and ODIs) and the highest List A score in matches in New Zealand. The highest score in List A matches is Ali Brown's 268 playing for Surrey against Glamorgan in 2002. Overall, 12 double-centuries have been score in List A matches (five in England). Brown remains the only batsman to score two double-centuries in List A matches. Of the five double-centuries score since the start of 2006, Jamie How's 222 has the best strike rate (160.86) followed by Virender Sehwag's 219 (146.97). Brown and Jeet Raval added 321 for the first wicket. Their partnership fell just short of the record opening stand in List A matches (326) between Ghulam Ali and Sohail Jaffar in 2001. The 321-run stand is, however, the highest in List A matches since 2006 surpassing the 308-run partnership between Craig Kieswetter and Marcus Trescothick in 2008. The 102-run partnership between Graeme Aldridge and Anurag Verma is the eighth-best ninth-wicket stand in List A matches since 2006. The record for the highest ninth-wicket stand (155 runs) is held by Chris Read and Andrew Harris for Nottinghamshire against Durham in 2006. The match aggregate of 815 runs is the fourth-highest in List A matches. The highest ever is 872 between Australia and South Africa in Johannesburg in 2006 when South Africa chased down Australia's 434 with one ball to spare. Since the beginning of 2006, there have been three matches where the aggregate has crossed 800 (two ODIs). While Central Districts' 417 is the tenth-best List A score, Northern Districts' 398 is the second-highest score (fourth-highest all time) by a team batting second since 2006 behind Sri Lanka's 411 in Rajkot in 2009. The number of fifty-plus scores in the game between Northern Districts and Central Districts is joint second-highest in List A matches since the beginning of 2006. The record for the most fifty-plus scores in a game (8) is in the game between Pakistan and Zimbabwe in Karachi in 2008. In the same period (since 2006), Central Districts became the only team to lose a List A game after despite five half-centuries being scored in an innings. The number of fours in the match (81) is the joint second-highest in a List A game since the beginning of 2006. 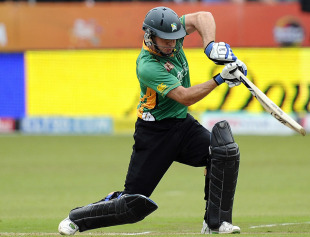 The highest (87 fours) came in the South Africa-Australia game in Johannesburg in 2006. The 44 fours hit by Central Districts is the joint seventh-highest on the list of innings with the most boundary fours since the beginning of 2006. Of the 13 bowlers who bowled in the game, only Bevan Small ended with an economy rate below seven runs per over. Small bowled 9.5 overs and picked up 2 for 53 (economy rate of 5.38). Of the eight bowlers who conceded over eight runs per over (a minimum of four overs bowled), Ben Wheeler had the highest economy rate (11.12).